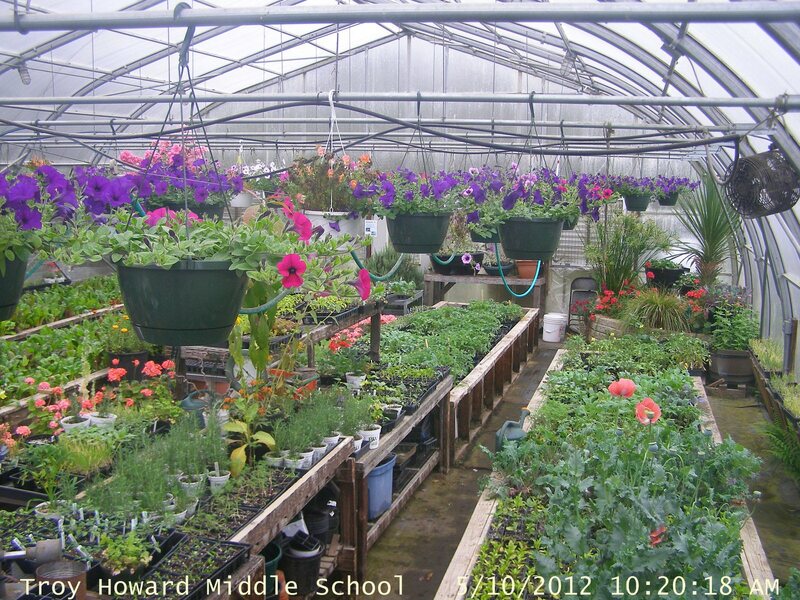 The kids started in January planting tiny seeds of three varieties of hanging petunias. The first transplants were made in late February and single plants were placed in 10 inch hanging pots at the end of March. The regulars begin to come into the greenhouse the beginning of May to hold their favorites and by yesterday most were gone. This is an annual ritual at the THMS greenhouse and a real diversion from the vegetable only greenhouse we usually run.